CHICAGO -- He doesn't say much. He always lets his game do the talking. But if the eyes were indeed the windows to the soul, then you can tell that Derrick Rose can't wait to avenge his team's heartbreaking 100-99 overtime loss to the surging Knicks last Sunday at the Madison Square Garden in New York. The opportunity to exact vengeance comes rather quickly ---- Tuesday night at the United Center in Chicago, where the Knicks tussle the Chicago Bulls for the second time in three days. 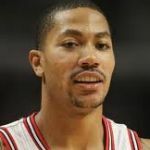 After missing 12 consecutive games (22 overall) due to a groin strain, Rose returned to action at The Garden on Sunday. He tallied 29 points, six rebounds and four assists, but it was a comeback he'd rather forget, no thanks to eight turnovers and two missed free throws that could have iced the contest in the final 11.2 seconds of regulation. "I really didn't get to the lane," said Rose of his so-so performance which saw him make only 8-of-26 field goals, mostly jumpers. "I missed floaters, lay-ups. Shots I normally hit I just wasn't hitting them. I know there will come a time," the reigning MVP told the Chicago Tribune. But for Rose and the Bulls to collect payback, they cannot afford another lethargic start that catapulted the Knicks to a 21-point lead late in the first quarter. The Bulls also need to shoot better than 39.3 percent (36-of-89 field goals) and they cannot turn the ball over 20 times. Just as important is containing Carmelo Anthony. The 6-foot-9 forward, a lights-out scorer when he's on a zone, was the main Bulls' killer on Sunday. Melo scorched the Bulls for 43 points, including a pair of triples, one that knotted the score in regulation and another that put the Knicks ahead for good in overtime. It wasn't all gloom and doom for the Bulls, though, as they outrebounded the Knicks 59-47. And more imprtantly, Rose logged 39 minutes of play and didn't seem bothered. "I felt good. I was getting my groove back. My wind was OK. Just playing felt good," he said. Click here to view a list of other articles written by Fakhouri Amjid.